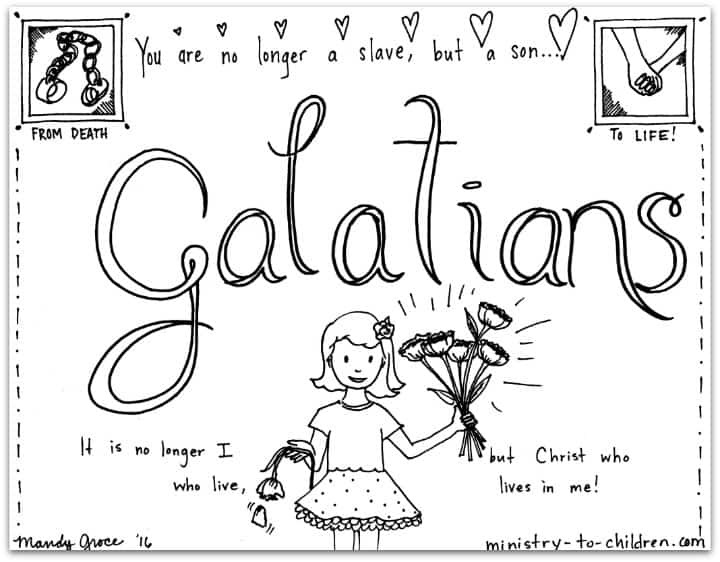 This free coloring page is based on the Book of Galatians. It’s one part of our series of illustrations for each individual book of the Bible. It is no longer I who live, but Christ who lives in me!